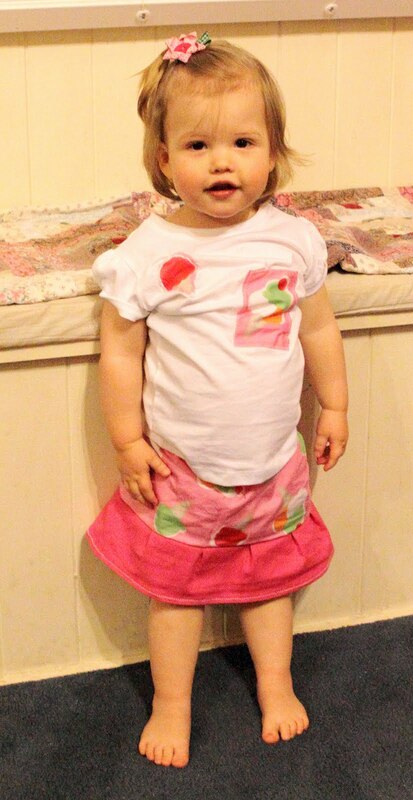 Tracey made little Miss1 a darling outfit to run about in – not the shirt, although she did sew stuff onto it. Miss1 thought she was pretty spesh and, quite frankly, so did her mother. Total cost was negligible – pink was from a clearance sale at Dimmeys for $3 a meter, shirt was 1.49 from Target last sale and the patterned material was $7 on sale from Lincraft. And even then she didn’t use even half a meter of each material. As a stress-relieving hobby, Tracey has found sewing to work wonders. Apparently. The cussing and stamping of feet I witness from the kitchen as she sits straight-backed in front of her machine must be caused by something else. When I grow up, I want to be….